Pupils can organise a survey and write a report on it. 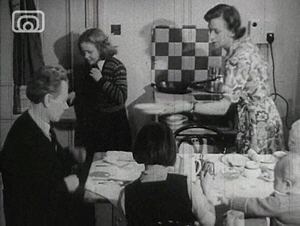 I can devise a survey about life in the 1950’s and 60’s, and using the information on it, and the information collected by my classmates, write a report about life in those days. 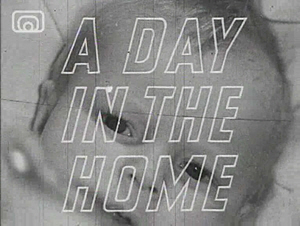 Whole Class: Watch the short film ‘A Day in The Home’. The pupils will be aware of a great many differences in the lifestyles between then and now. In Pairs: In your jotter, make a list of at least ten things that you found to be different from the film to today’s lifestyle. Groups: Talking to the pair next to you, see if they have come up with the same things as you have. Make a note of any different ideas they have come up with. Write down 3 things that you think that would make the family’s life more comfortable or more enjoyable. Explain. Go back into the same groups as yesterday. Compare the responses you have written for homework with the rest of the group. Are there many differences? How realistic do you think the film was? What things did you think were very unusual by today’s standards? Can you imagine anyone in your family living like this? 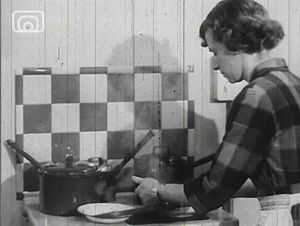 How could we find out how people lived back in the 50/60’s. Class discussion follows. Teacher elicits the idea of a survey. Each member of the class has to think about and write down what differences they think are most interesting between life now and life in the 50s/60s. Teacher re-caps on previous lessons, reminding children of learning intention and the survey that is to be devised. Teacher questions pupils on previous night’s homework. In Pairs Pupils discuss what questions they would ask someone about how their lives were in the 1950/60s in order to get a full and interesting picture of their situation. Groups: Join with the pair next to you and compare the questions you are thinking of asking. Are your chosen topics similar? Write down any differences. Class:One volunteer, or the teacher, collates feedback from each group on to the Smartboard. Class:There has to be a limit in the number of topics that the survey can take in. As a class decide which 8-10 aspects of life are suitable for the purposes of your survey. A general conclusion – What have been the biggest changes? Have all of them been for the good? What has changed for the better/worse? Whole Class: The teacher reminds once more that a survey has to be designed in order to find out information about what life was like in the 50/60’s. What shall it look like? The design of the survey shall be helped by children having examples modelled. Paired Task: A sketched first example could be used, pupils can discuss in pairs what their preferred layout shall be. Enough space for a response to be written. Design the layout of a survey. It us important that pupils have the opportunity to design their own - a simple Word programme is sufficient. However, it should be the pupils own choice. Once this task is complete, each pupil has had time to design and print off their preferred style of survey with appropriate headings and questions, we can move on to the next task. 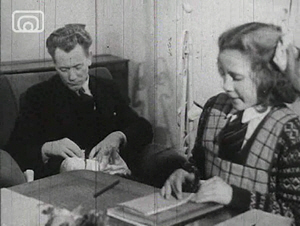 Pupils have to interview someone who grew up in 50s/60s, and record responses. Teacher and class discuss previous knowledge/lessons, and previous homework task. Class: Responses are collated under the various headings. These clustered ideas are discussed and different views are aired. Pupils have to write a report on life in the 50s/60s and how it has changed. Building upon previous knowledge the principles of report writing are reviewed. The success criteria for this task is the same as that mentioned on the first page. Logical Paragraph Structure - Cluster. It will also be useful to develop a Wordbank to aid expression and Topic Sentences. This suggested paragraph plan could be used with any Wordbank that has been developed. The paragraph plan is easily adapted to add / take away scaffolding according to required differentiation.